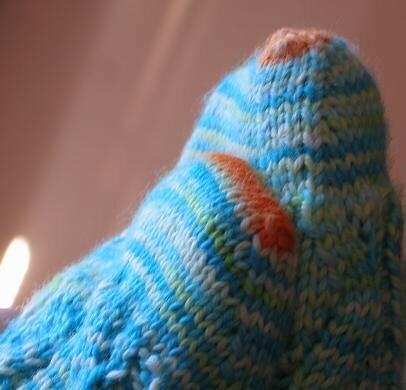 sock prØn. 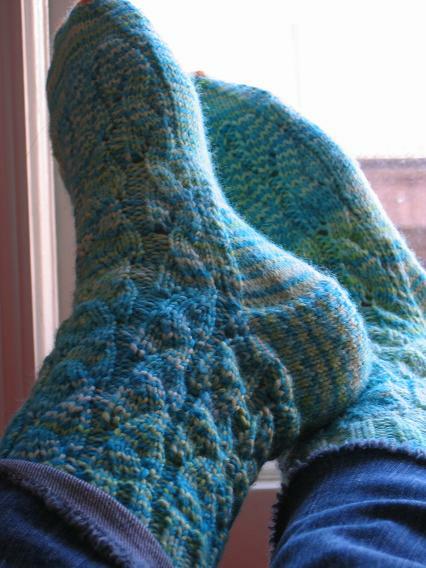 : River Rapids socks finished! I had a good time with the pattern, especially as I'm getting more and more comfortable using charts. I even picked up some graph paper to write the chart out for traveling-- before I'd always write out pattern instructions longhand but I think those days are behind me. Its not so much that I can visualize it more, just that with a glance I can "see" the instructions, as opposed to reading them (and I'm a fast reader). 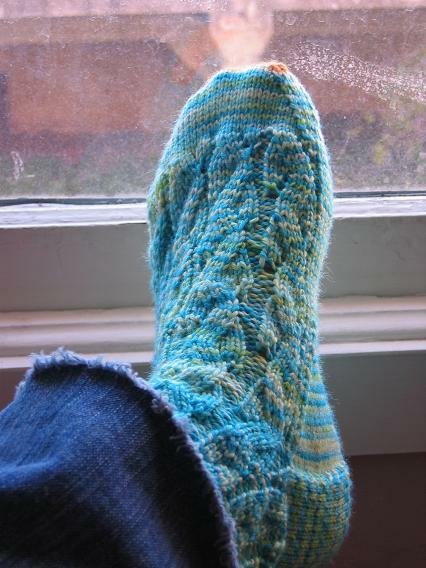 Anyhow, I've strung the beads for the Glad Ragg socks from Y! Groups Six Sox knitalong, though I don't think I'll start it til I at least finish the back of the sweater for the KOlympics... sock knitting is such a distraction for me! And, what is that hint of orange you may see? Oh, me running out of yarn at the tiptoes and using the leftover blip of yarn from my Wyverns. Desperation city. They look great!!!!! I can't wait to get my Kona and start dying! 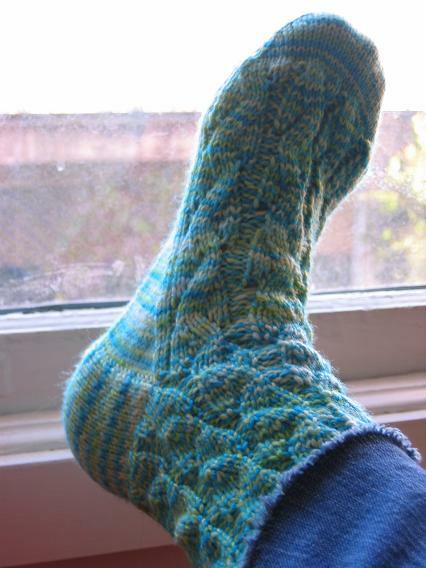 Can't wait to make a pair of these for myself! I like the orange tips, too! Your socks are great! The photos show off the stitch pattern nicely.